Welcome to the Target complaints department for customers. If you have a problem with either service or products at Target you can call 1-800-440-0680. If you would like to contact the CEO, Brian C. Cornell in a posted letter you may address the letter to him at Target Plaza South, 1000 Nicollet Mall, Minneapolis, MN 55403. You may find answer to concerns at the shopping experience page of their website. 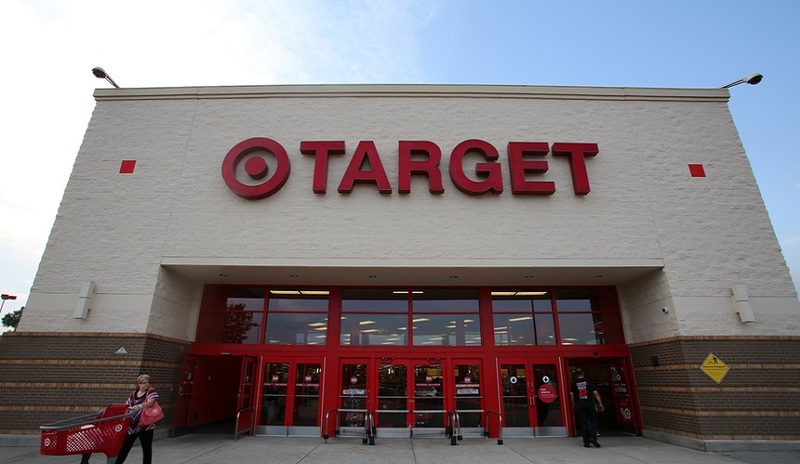 Recently, Target complaints have increased due to a data breach where credit card information was stolen. There was also a substantial customer boycott of Target due to a new bathroom rule passed in 2016. Because of both of these items the stock price has decreased and many wonder if the retail giant can compete with Walmart and Amazon long term. 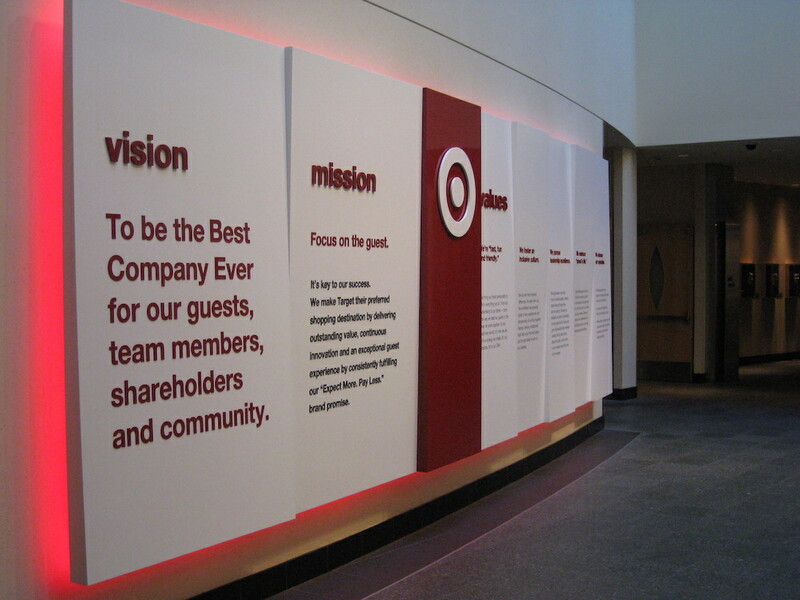 Target Corporation is the second largest discount chain in the United States and operates mostly in North America. You will find home goods, food, pharmacy and clothing in their large outlets. With 1790 stores and over 355,000 employees Target operates 37 distribution centers. It is publicly traded on NYSE:TGT and in 2013 reported sales of US 71 billion and revenues of US 72 million. Founded in 1902 by George Dayton and called Goodfellow Dry Goods Target opened its first Target store in 1962 and in 2000 became Target Corporation. Unlike their primary competition Target does not sell fire arms and as of the early 1990’s even stopped selling toy guns that looked real. They do sell colorful gun-type toys. Since 1996, unlike their primary competition, Target has not sold tobacco of any kind. Their motto is: Expect More. Pay Less. If you need to contact corporate in another way there are many options. Other forums to share your experience might be in Target Corporation social media arenas such as Facebook, Twitter, YouTube, Pinterest. They are two of the most foul mouthed Trump critics using profanity to described him and his administration. How can you promote Americas favorite store with such wild eyed propagandist. Really feel betrayed by Target and bet most of middle America agrees with me. I ordered on line this lego set. I received this in my email. By reading this email you would assume $46.31 would be charged to my Target Account!!! WRONG!!!! I was aware if I purchased a $50.00 lego set I would get $10.00 off so I figured the $10.00 was taken off of this lego set. I picked up the toy and also spent another $65.00 at target that day. I noticed in my email I had a 10.00 gift card which I could have used on my $65.00 purchase but I thought it was taken off the lego toy. I called Target Customer service and was hung on twice. I called back and asked for a Supv. which Janelle said she was a supv in Corporate in Arizona and there wasn't anyone else higher than her. All I wanted was the $10.00 put towards what I purchased and not a gift card. She told me to read the rules on Target and that was not going to be done. However she said I could go back to the store and they could apply the gift card. That would be fine if I lived by Target but I would eat up the $10.00 in gas. Very frustrated!!! I ordered 4 swimsuits & returned 3 according to the instructions. I have chatted online twice & finally received a refund for 2 of the items. Today I began a chat & as soon as I completed typing the issue the agent ended the chat. I then called the 800 number twice & regardless of what option I chose the recording continued to say that option doesn't work. I am just trying to get the refund for the 3rd swimsuit & should not be going through all of this. I still had not received an email showing that my order was cancelled. So, I called customer service again only to find out that my order did not get cancelled and that it had been processed. They couldn’t tell me what happened. They did offer me a $5.00 Target gift card. My complaint is that you need to hire more competent employees in your customer service department. Now, it will be an inconvenience for me to have to return the item to the store. The other ISSUE is that the top was on clearance in the store but when the associate ordered it online for me it was not on clearance. So, they charged me the full price when they placed my order nd then turned around and gave me the difference on a Target gift card. So, I will have to go back to the store and have them order the top for me again in the correct size, at the higher price, and get a Target gift card for the difference. And then WHEN I receive the top that was ordered today, in the wrong size, I will have to make another trip to Target to return it. I don’t understand why this has to be so complicated! SO FRUSTRATING!! On April 9, 2019 I ordered 4 pillows priced at $19.99. On April 10, 2019 I received an email that the pillows I ordered were now on sale at $13.99 each. I called customer service on April 10th to request a price adjustment and was informed by the rude sales representative that I could not get the price adjustment. When I went to return the pillows on April 11th at the store the sale girl informed me I was within the fourteen day price adjustment time frame and should have been given the adjustment!! Also on March 28, 2019 my online order had all missing items when I received it. The again rude sale attendant did not even apologize when I told him how horrible my items were just rolled into a ball and thrown in a shipping bag not to mention missing items!! You need to be more careful in your hiring process!!! So dissatisfied with target. As a Christian, I find it extremely disrespectful that your target ad shows a picture of a tshirt for boys for fortnite on the back of your ad. In it, it has a picture of a skeleton in an Easter bunny costume. When Easter is a time when Jesus Christ has passed and your company has put a skeleton in an Easter Bunny suit? What are you thinking???? Is that supposed to be funny?? I think its extremely distasteful and this t-shirt should be removed from your store immediately!!! This is not acceptable and I am NOT alone in my thoughts or those that will no longer go to Target!! This was the last straw! I went to north shore target in knoxville,tn. I was picking up items for my niece and put all in bag to carry stuff to guest services while i was distracted on the phone call i was between bulleyes dollar spot and women apperal standing there talking on my phone next i know security came out wont let me finish to shop i went to guest service told them to hold this for her she come to pick it up them when i check out at the register cashier and the other co worker at target made fun of me. That was horrible never shop there before . My nieces has a red card to pick up the purchase and she work for taeget she just got the job. 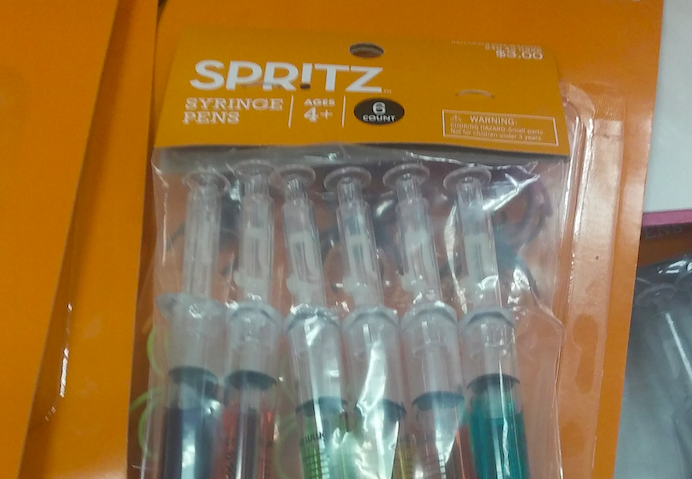 They made me felt like a crimal. So now me and some of our family members and friends will not dinate money to target and pull out for shopping there base on the expirence i could see if i was trying to steal the iteams i was no where close to check out and to the doors and wasnt going to head that way with those items i would of bought them for my neice bit since that happen forget i going let her take xare of it. So i rate target a horrible place to shop beware they assume your automatic a thefts even while you truely not. good day I am a loyal target customer for many years,but lately I been having a lot of problems when ordering online especialy iTunes gift cards, my orders always get cancelled it says a technical problems I called my bank to ask about my credit card and they told me that my credit card is good to use to purchase online I am very disappointed about this situation hoping someone will look into this problem you guys have, thank you wait to hear from someone. I am asking are you going to continue carrying Mossimo Clothing in your stores? I always shop at TARGET. I definitely hope that you discontinue selling Mossimo Giannuli's designs, otherwise, you will be providing more money to the CHEATS - LORI LOUGHLIN AND MOSSIMO GIANNULI, for them to continue in their bribery ways. I hope you won't continue to be associated with Mossimo Clothing. I'm sure you can find other reputable clothing companies that you can trust. I appreciate your consideration in this matter! I ordered a light fixture online on 2/14/19 (order #: 1050662308534). 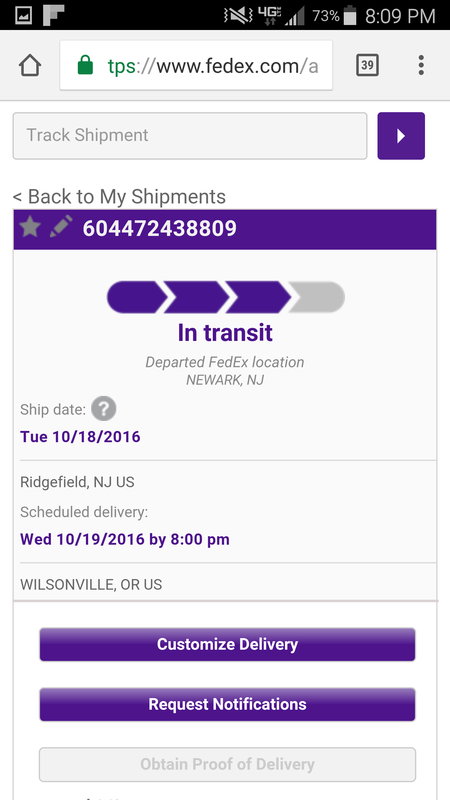 It was scheduled to be delivered on the 22nd by Fed Ex. There was an adult home all day but Fed Ex never knocked just left a note on the door saying they would try next day because a signature was required. I waited all day with no delivery. On Monday received box with a random bulb from Target, Called was told to wait a couple of more days. 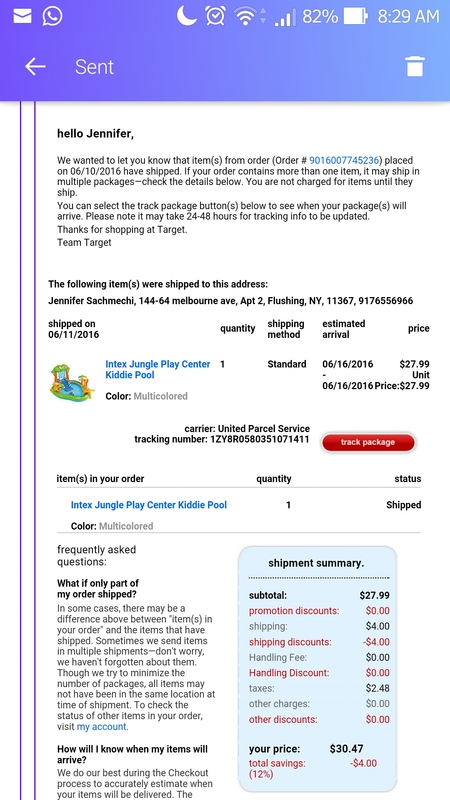 (nothing) Called Target again (case #50067911) was told to wait further and send picture of bulb attached to the email he was going to send me. (never received email). Called today 2/28/19 case # 50141707 was told to wait again two more days and if I didn't receive email to call back. To date I have been charged for the fixture it has not been delivered and the only thing I'm being told is to wait. What is it that I am waiting for? I hve wasted to much of my time getting no results. I expect more from Target Should I get my credit card involved? My target.com password was reset and not by me. So I called immediately like the e-mail suggested to report. Had 1st agent the told me just to reset my e-mail. I could of done that with out calling. I asked if my account was OK and nothing ordered . He said yes. I asked how do you know, he said o I need your e-mail. I gave it to him he said all was OK. I ask to verify he was looking at my account, I asked what my last purchase was. Couldn't tell me. He repeated my e-mail and it was not correct. I gave him AGAIN my e-mail he said he then couldn't see anything, I just ordered something last week. I asked to speak to a supervisor because I was having my doubt I was talking with a actual Target person. After on hold for 10 minutes a supervisor Britney came on. She "finally" was able to verify my account. Not real impressed with your customer service at all!!! 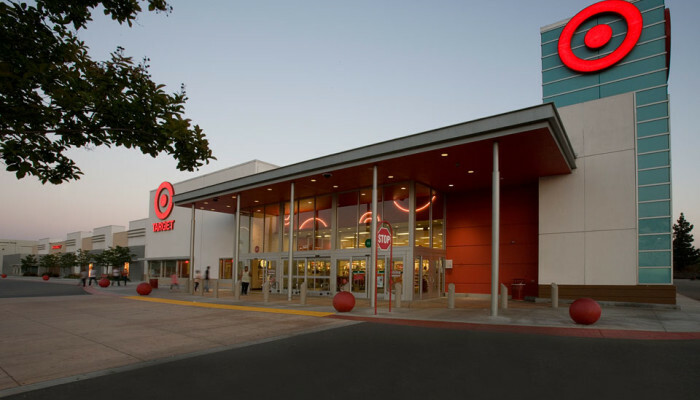 Dear Sirs: Our local Target at 3333 Arlington Blvd, Riverside,CA just completed a beautiful, long overdue renovation. That has been a blessing. The issue is obviously in the management staff and scheduling of stocking shelves. I have seen complaint after complaint on local Facebook concerning how inconvenient, cluttered and lack of customer service from employees. The aisles are filled with carts needed for restocking which prohibits customers from getting up and down the aisles - you can't get at the merchandise. I have never seen restocking during the middle of the day when the majority of your shoppers are in the store. The employees do not seem to be bothered to help customers - just concentrating on stocking. The beautiful new store now is junky because of this stocking issue. 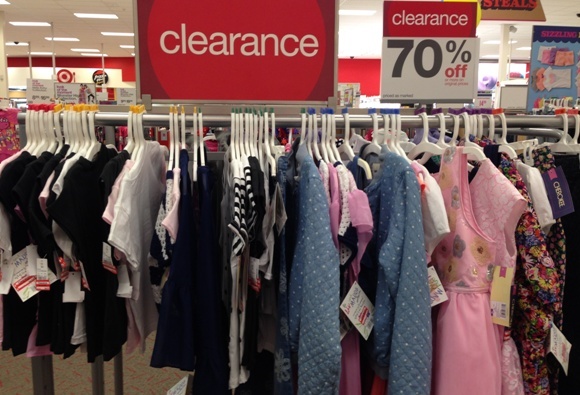 I am puzzled because this does not seem to be the norm for Target. Please have someone look into our situation. Riverside loves this store. Everyone was rude! Rude attitude and was completely clueless only one with their head straight was this nice young woman named Janelle. No one would explain to me what was going on and when I was introduced to the "Store Manager" he was clueless and not helpful. I'll only resort to Janelle she was kind and only one who listened and made a solution to this mess. Needs to be more people like Janelle! Pueblo Colorado - employee Rachel is RUDE! She made returning a cracked phone case (brand new in the box) an extremely painful experience. She treated us, the customer, like WE did something wrong. She has no customer service skills, and we will go elsewhere to shop where we are treated with respect. Shame on Target for having such a person represent your company. In the past I've always went to Target to purchase black hair care they aways had a vast majority of products now they seem to have cut out most of the products that the have purchased. also they have put the hair care across from the condoms . . I will never shop at Target again and will pass this on to my friends and family members . Furniture of America, model HFW-1453-6. The kit has some serious problems. shank near the screw head. hardware (haven't gotten there yet). a vise-grip to make the last few turns. Allen wrenches with longer handles are made. them to fix these problems. I bought a $100 Visa gift card at Target... Used it a few times until I had around $40 left. At that time I had dinner at Applebees which came to $27.84. Somehow... the $27.84 showed as ringing up 3 times. There was not enough balance on the card for those charges but yet I was able to use the card at McDonald's for $5.88. I should now have a balance of a little less than $6.00. But am not able to use the card and it's showing a negative balance. I have phoned the Visa number on the card. Have spoken to 3 different individuals and their supervisor Jerry. They have all told me I need to fill out a dispute and have read my Yahoo email address back to me ( which I provided.. So that they could send me The dispute form).The first 2 individuals told me I need to contact Applebees about this issue. I did. They searched their records and found they had only been paid once not 3 times... So they could not remove charges they couldn't find. I delayed all this information to Jerry, the supervisor and told him that I had not received the dispute form. I still have not received any communication from the Visa representatives. While, I think it is totally ridiculous to have to go through this much trouble for under $6.00..... It is my $6.00, eand i feel it is being stolen from me. If this issue is not resolved to my satisfaction... I will NEVER buy a gift card - nor will I recommend to anyone else... That they but a gift card from Target. Fraud gift cards was told it was stolen. I was on the target app and target sends me this response with no proof . Target app is not secure . They are aware of this problem and let gift cards to be transferred to another gift card with large amounts . They don’t investigate. Thanks for taking the time to give us a call on 01/09/18. 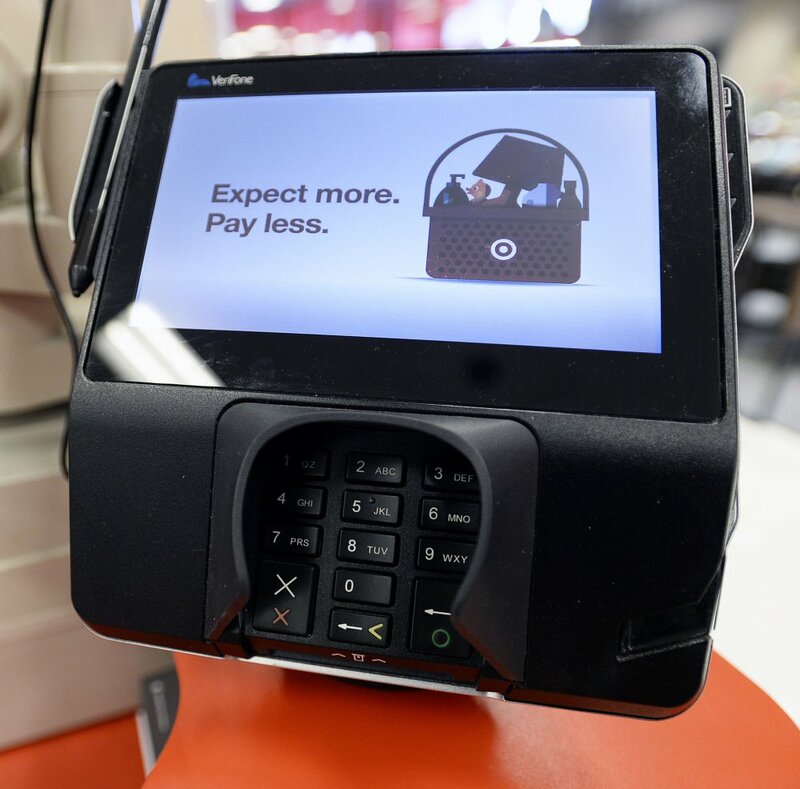 It’s disappointing to hear about the trouble you’ve had with your Target GiftCard and we sincerely appreciate your patience while we looked into your issue. After review of the gift card, we don't see any fault on Target's end that would have caused the funds to be spent. Because of this, I'm sorry to advise you that we are unable to replace the missing funds. 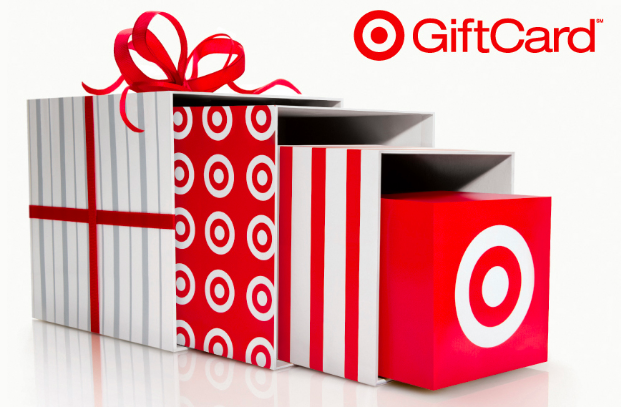 We encourage you to visit: https://www.target.com/c/gift-card-fraud-prevention/-/N-lj9kh for additional information on Gift Card Fraud Prevention. I know this is a disappointing experience for you. While we are unable to resolve the issue as expected, it may be to your best interest to pursue the matter further with your local law enforcement. Thanks again for your patience with this matter. i feel sorry for your associates, staying open until 10pm on Christmas Eve. i would not recommend Target to any family nor friends. i will no longer shop at Target and will take my business elsewhere. In the meantime I ordered the same jacket along with other items on 12/1 to have them delivered to a home in Lusby, Maryland. This order was received on 12/8. I called to talk to some in Customer Service - waited about 20 minutes and someone picked up the phone and immediately hung up. I called again and waited about another 20 minute this time some answered the phone and as soon as I started to talk they hung up. What is the problem having orders delivered to the Forestville, Maryland store. I never complain about Target, but now I have to, and is the worst ever store experience in my life. While begin our adventure for Black Friday shopping, we start going to Target store before it even open on Thanksgiving Day. Guess what, the nightmare just begin. As soon the store open we are the third guest in the store, soon we heading to what we there for, electronic! As advertised on the Black Friday AD, we going to shop for the Beats Solo 2 Wireless Headphone which sale for $119.99. But unfortunately, door buster deal is just a total disappointment for us. 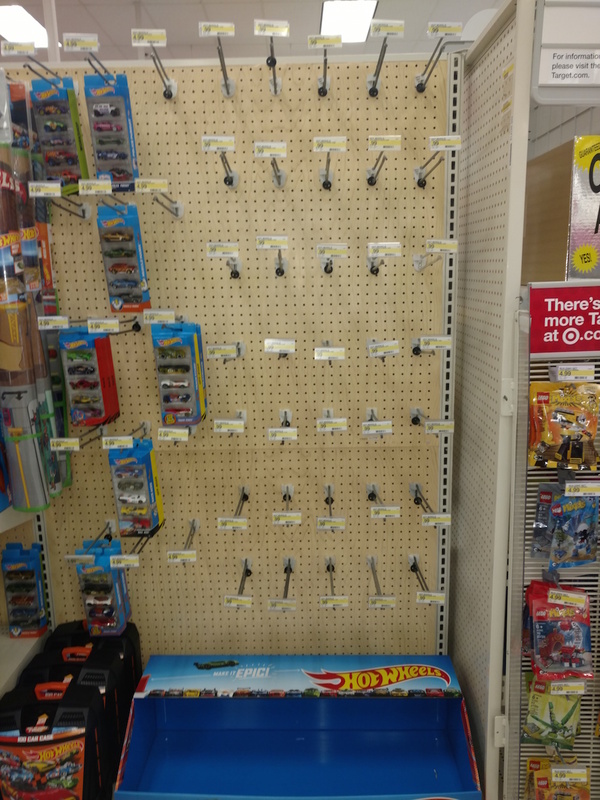 Not even one available at the store, even though we are among the first guest at the electronic department inside target store. Oh well,it is only 6pm, I told my daughter still early, let go to another Target store to get her the Headphone. As we travel thought 6 different Target store, from Brooklyn, to Staten Island, and then New Jersey. Not one store has them, don't even know what to do now for my daughter. While thinking for solution, friend of my called, he is shopping for the same thing and he got better luck. He was shopping at Best buy looking for the same headphone and they were out of stock as well. But Best buy store somehow offered my friend the Beats Solo 3 Wireless Headphone for the price of the Solo 2, as a substitution. "Are you stupid or something? Nobody give rain check on Thanksgiving". My god, what's wrong with this Target team member? 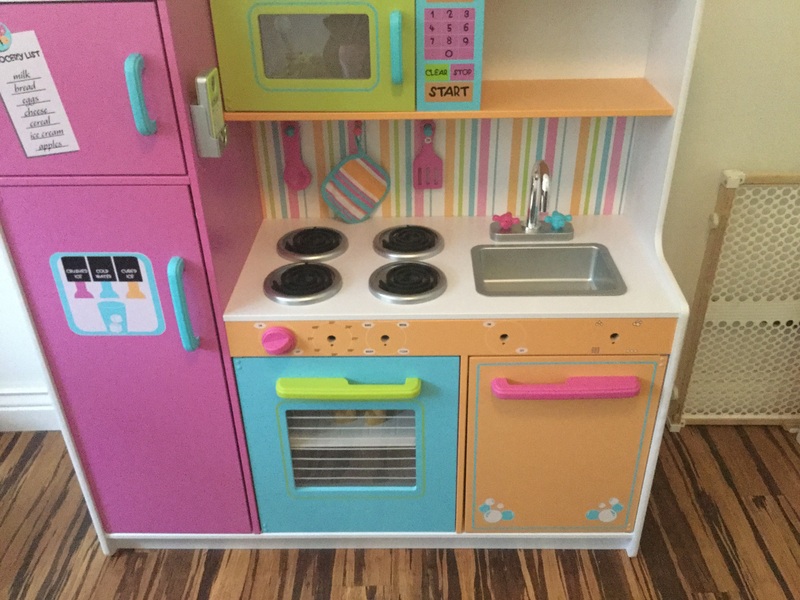 Since they are so busy I can't find another sale rep, I have no choice and patiently ask the same guy more question, only because it is for my daughter. I asked, do you have any kind of substitution for that Door Buster deal? The answer is very simple and straight forward, "No!" I tried to clam down, let me try again. Sir, I see you have two Beats Solo 3 Wireless Headphone on the shelf, I understand that it is the new version of the solo wireless headphone, the original price is the same as the solo 2, will you able to offer me that as a substitution? The reply is " let me tell you something, no way, take it or leave it". I can't control anymore, as I am about to respond, my daughter is holding me tight and crying. She said, daddy I am scared, lets get out of here. So I just walked out the store.I am very upset about the Target Store experience. First, how come no store has the Solo 2 Wireless Headphone in stock as advertised, not even one? It make no sense. Second, as the Target Store didn't make appropriate measurement, didn't even offer rain check or any substitution when asked. Third, and the worst, what kind of people is this as a target team member? Is it the way and language to use? I didn't able to find the name of that person, I will, and I will takes this further, as of now, my daughter don't even want to go to any department store, she is afraid and worried it will happen again. I shop at Target Stores a lot and tonight I was there and bought a pair of gloves (getting a little chilly out) The gloves were 30% off and when I got to the register to pay she rang them up at the normal price. I told her they were 30% off! 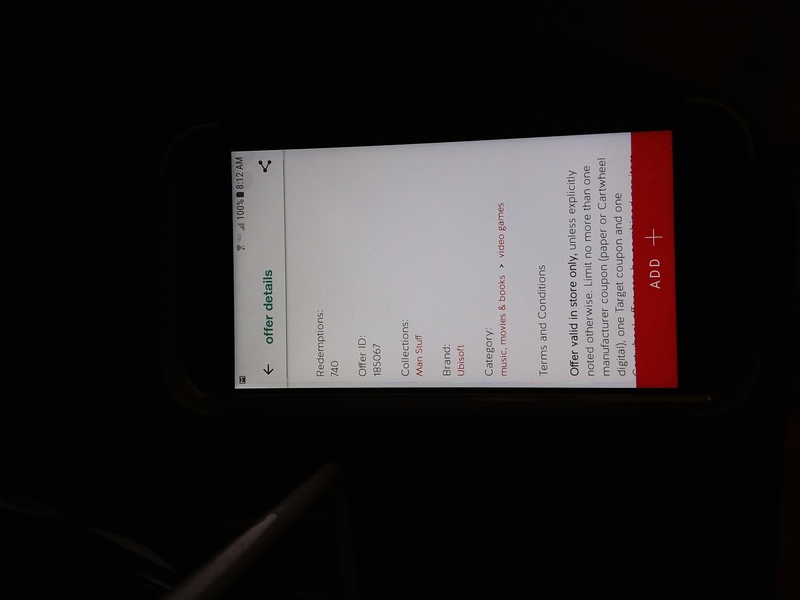 She said that I needed an app on my phone to get the 30% off. I told her I don't have a smart phone just a flip phone. She said that I couldn't get the discount then. The lady behind me in line was nice enough to let me use her app an I did receive the discount but I shouldn't have to do that. I am retired an on a fixed income an I am not getting a smart phone. There should be some way the cashiers can take care of discounts when customers don't have these type of phones. I guess that is what I have to say. Today, November 23, 2016 I was at the Target store in Hanover PA - 31 Wilson Ave. I tried to purchase the Beats powerbeats2 wireless earbuds for the online sale price. I was told by the sales associate in electronics I could not do that. 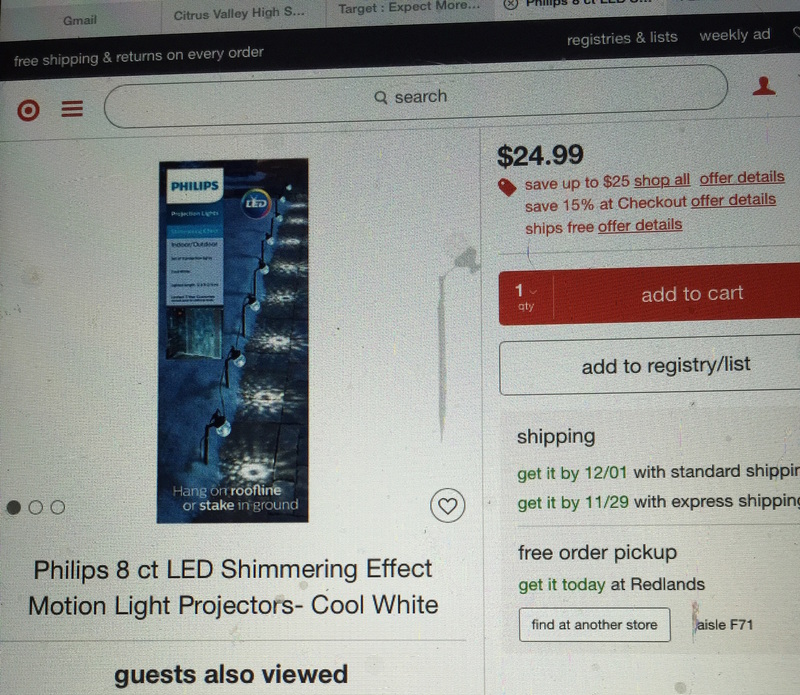 So I went to the customer service desk and asked if they price matched there online prices and was told yes they do. When told I was trying to purchase the Beats he told me they couldn't price match them. I said you just told me you price match your online sales. He then become rude and ignorant and told me that they don't have to price match nothing. 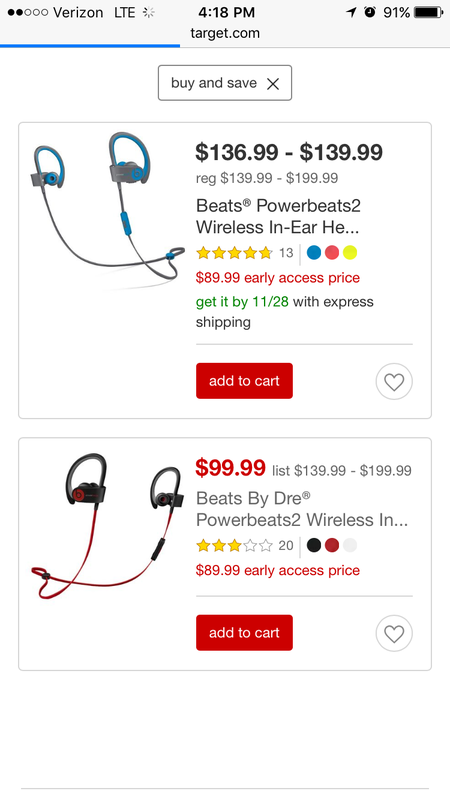 I was trying to price match the online sale price and use the cartwheel app to purchase the beats earbuds. After being disrespected and treated like garbage I left the store disgusted on how I was treated at this store today. Totally shocked that there is a sign at the customer service desk that says, only to be told that Target doesn't have to price match anything. Not sure if I will be going back to this location anytime soon, and will be letting people know how I was treated. Today I tried to use my new Target card with the chip. I did not know the I needed to set up a pin. There were too many people in line so I paid cash to check out. I called customer service and waited an hour to s/w a manager who told me I cannot be credited the 5% discount bc "I failed to follow instructions" additional "this is my failure". I stated Kmart, Macy's can all use phone numbers and never make the customer feel stupid. My mother is currently dying and I may have forgotten to select a pin 2 weeks ago. I have never been treated so poorly. Evidently I'm too stupid to shop at Target". I have shopped at Target for years and had this credit card since 2014, but will never go again. I will never shop at Target again. I was told I can only use one coupon,I was trying to use two. When I told the store manager Leon at target store 1040 Dale Mabry, Lutz, FL 33548 they policy was four coupons he's said it was corporate policy. I advised him corporate policy is four coupon he got very annoyed. So i didn't push the issue further with him. He allowed me to use one coupon and even asked if I was going to purchase the rest with this transaction. When I contacted corporate customer service, the customer service said she will call him because the policy is four coupons . She asked me to hold on. When she got back on the phone her attitude changed toward me. She said he refused the coupon because i was buying to much. It was not a inventory issue but a coupon issue because he allowed me to purchase all the items without using coupons. 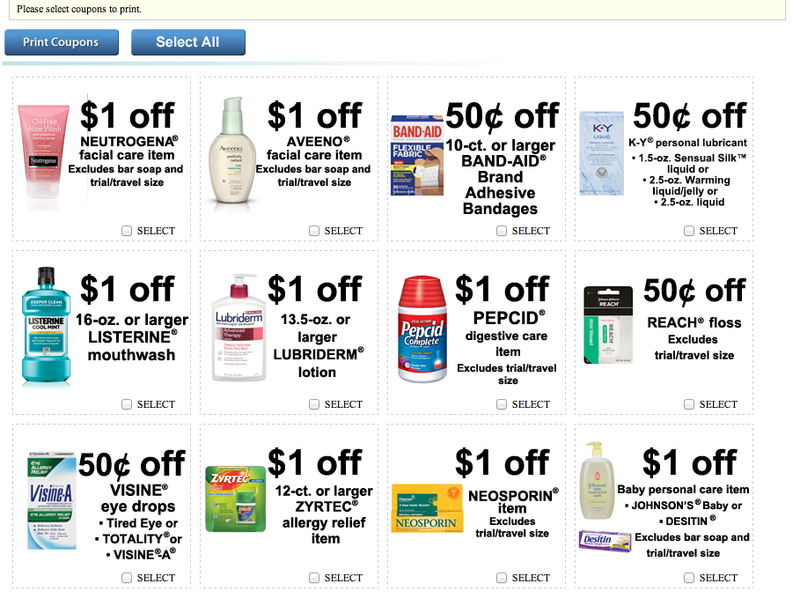 I feel like I was mistreated and bullied because I want to use coupons (which are in their coupon policy limit). I made the same call to Target customer service two weeks before this incident, not in the spirit of complaining but to figure out the coupon policy. I even contacted the manager to ask the policy. I was told the policy was the same a targets corporate website. I feel singled out and humiliated for trying to use a coupon and have no recourse to help this situation because they lied to cover themselves. When Target let their managers amend the coupon policy as needed they also allow managers to lose business. I have shopped for 40 years at Target it is the place I prefer to shop. 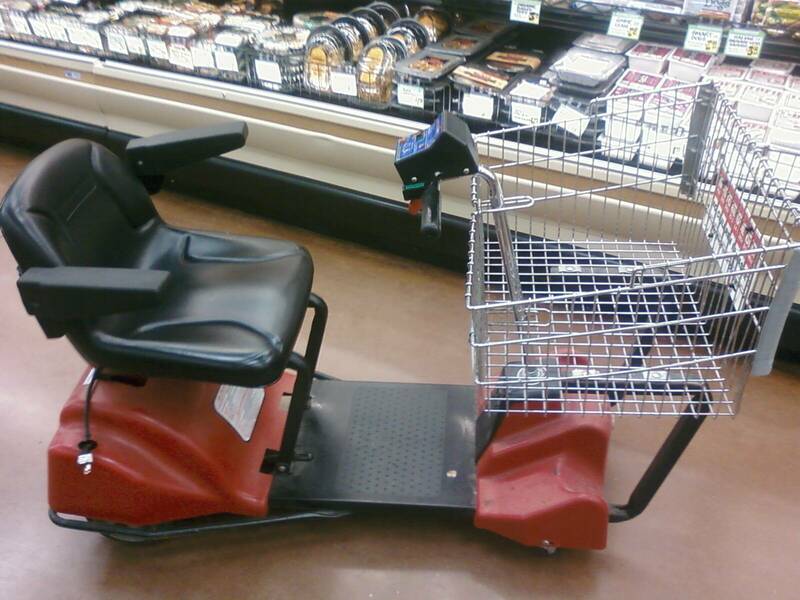 I am almost 70 years old now and need a motorized cart to shop. I have talked to many people at the store for over a year now about the condition and safety of there 2 carts but they never get fixed. One cart you can't steer well it just wanders all over causing you to run into things, other carts, shelving, even people. The other cart won't stay running and needs to be turned off and back on to reset it all the time not fun or safe for me or other customers around me. After many times of trying to get someone to fix the problem I have given up and have made the move to Walmart for my shopping needs even though I don't like to shop there there carts are always in good working order. I still need to change my pharmacy to another, that in it self is 30 to40 thousand dollars a year. store level personnel should have been able to handle this problem. 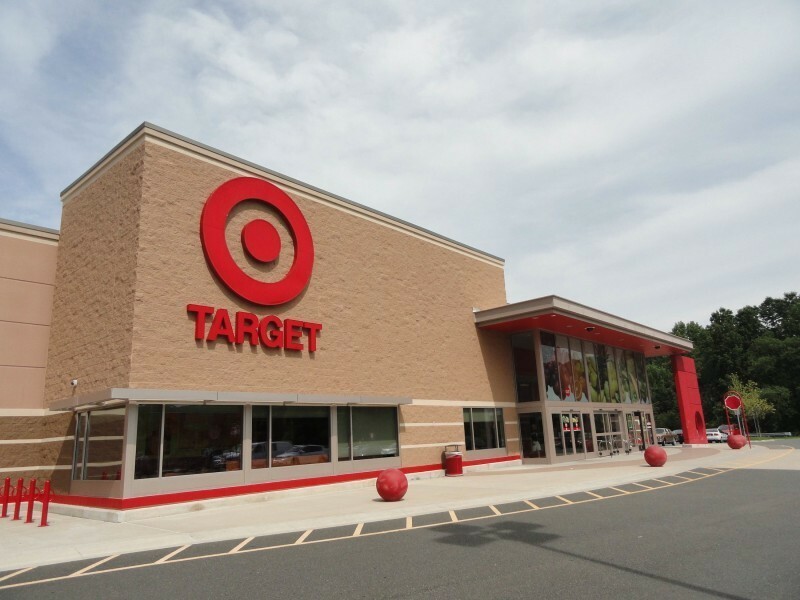 I just came out of Target located in 100 Parsonage Road, Edison, NJ. I had purchased 3 items of clothing and pulled out my Target gift card to use that I had gotten from the store in June when I returned a girls' Champion performance legging ($15.00). My child wanted an all black color legging but I had gotten her one with a some colors on the waist of it. When I went to pay for my items, I was told by the cashier that there was no money on the gift card. I realized that the gentleman who had helped me return the colored leggings did not put the $15.00 on the gift card. The cashier then asked me if I kept my receipt. Obviously, I didn't. Who would think that anything like this would happen? I just want you to know that this can be prevented easily. Perhaps, the person at customer service should check to make sure that the amount is on the gift card before they give it back to us (the customer). I am upset that I lost the $15.00. I hope that by telling you this, this will not happen again to me or anyone else. Please be informed that myself, a group of family members and friends have decided to boycott your stores until you remove the Spanish speaking commercial from the English speaking channels. We do not speak Spanish and we find it offensive that we are subjected to non-English speaking commercials in this country and on main stream media. There are Spanish speaking channels that can reach those who understand Spanish so why not advertise there. How effective would it be to advertise in English to those Spanish channels? Until these commercials are removed we will take our Target business to Walmart.